The television series MTV Unplugged, featuring stripped-down acoustical performances by a wide range of artists not usually known for such performances, made its broadcast premiere on this day November 26th in 1989. 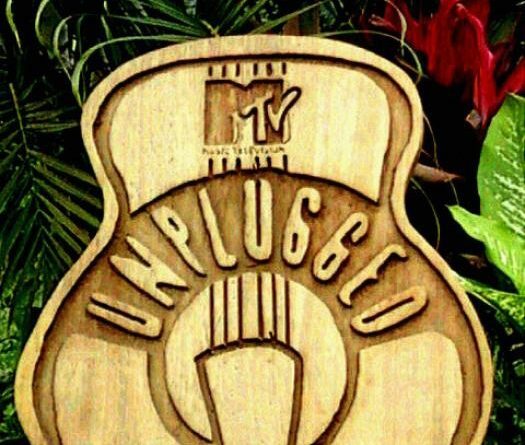 MTV Unplugged spawned a whole new medium for artists to sell their music. It also provided fans an alternative view of their beloved favourite artists music impressions. The MTV Unplugged launched artists into instant commercial success as well as reviving the career’s of some legendary artists. Eric Clapton’s Unplugged (1992) sold 26 million copies worldwide and remains the best-selling live album of all time. Other Unplugged albums that went platinum include Mariah Carey’s MTV Unplugged (1992), Rod Stewart’s Unplugged…and Seated (1993), Tony Bennett’s MTV Unplugged (1994), Page and Plant’s No Quarter (1994), Nirvana’s MTV Unplugged in New York (1994), and Shakira’s MTV Unplugged (1999). The phenomenon of rock stars re-creating their hits in an acoustic manner was thus well established by the early 1980s though the word “unplugged” had not yet been applied to the concept. In addition, the late 1980s saw a renewed interest in folk and acoustic music in general. Many new acts established during the period had a strong folk/acoustic influence, like The Indigo Girls, R.E.M., Sinéad O’Connor, and Bruce Hornsby and the Range. At the same time, many established folk and folk-influenced artists of the 60s and 70s experienced renewed success – some reaching the greatest commercial success of their careers – such as Paul Simon, The Grateful Dead, Jethro Tull, Bonnie Raitt, Dire Straits/Mark Knopfler, Bruce Springsteen and Bob Dylan. It was a glorious time for MTV. It was when MTV was all about music. It all began November 26th 1989!